Fans of Pretty Little Liars have a new mystery to solve, and this time it involves a murder in the college town of Beacon Heights, where everything is not as perfect as it seems. 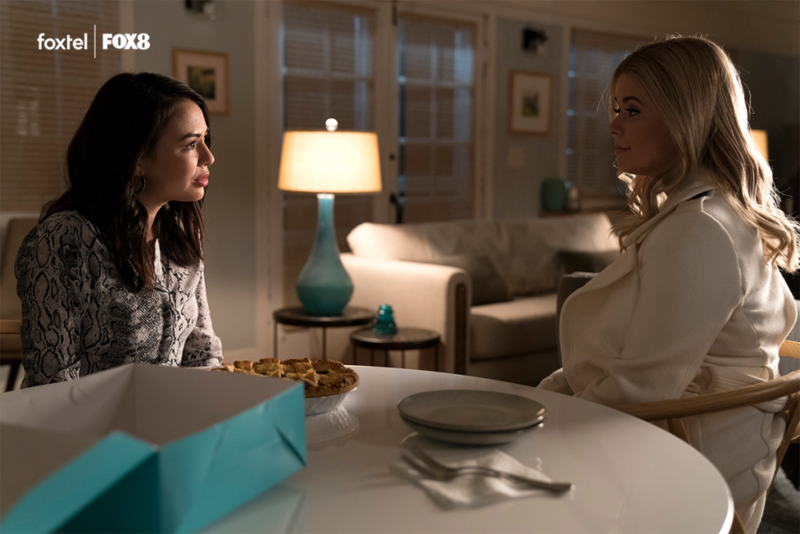 The highly anticipated series Pretty Little Liars: The Perfectionists premieres Thursday March 21 at 8:30pm AEDT, express from the US, on FOX8. Each episode will be available to stream every Thursday from March 21. From the executive producers of Pretty Little Liars and featuring the return of series stars Sasha Pieterse and Janel Parrish, Pretty Little Liars: The Perfectionists tells the story of a town of overachievers who are under an intense amount of pressure to succeed. When their high-stakes college environment pushes them to a breaking point, someone snaps. And kills someone. As they work together to solve the murder mystery, it soon becomes clear that behind every Perfectionist is a secret, a lie — and a needed alibi.